It’s a cliché to say that school is hell, but for the unfortunate students of White Day: A School Called Labyrinth, it’s also a brief yet accurate synopsis. If the name, as wordy as it may be, sounds at all familiar to you, there’s a very good reason for it. White Day originally released all the way back in 2001 and may be older than some of the people scrambling to play it. Since then, it’s been re-released on more or less everything, and now it’s finally come to the latest consoles. In White Day: A School Called Labyrinth, you play as Lee Hui-min, a typical student who decides to sneak into the school at night to return another student’s lost diary and give her some chocolates too. Because who hasn’t done that? It soon becomes painfully apparent that the school is haunted, and filled to the brim with all manner of creepy ghosts. But for westerns like me, the Korean flavor of White Day feels completely unique with its own creepy brand of mythology and ghost stories. And there a lot of ghost stories in White Day, it’s one of the most interesting parts of the story. As you explore the school you’ll find yourself reading gossip that is inexplicably written down, these hint at the ghosts and specters that roam the halls. Although they aren’t necessarily true, they evolve over time and inform the narrative. Which is good, because the rest of the story is bananas. Like, total nonsense. You can either lean into the surreal, camp nature of the story, or you can get frustrated by it. The school janitor is murderous, possibly possessed and no one seems to care. The school has had the most improbably hideous history of any building ever. Feng Shui is actually a thing. Okay, that last one is more to do with the cultural differences, but it does add to the weirdness of the whole environment. Unfortunately, the game mechanics also dip into the unusual and difficult to comprehend. While a story that is impossible to predict is an entertaining rollercoaster, puzzles that are impossible to solve are just annoying. One early boss like encounter has you searching the hospital for the evil plotted plants, so you can kill a malevolent tree (I warned you about the plot). So once those perfectly normal tasks are completed, you might think you’re home free, but if you haven’t randomly acquired some insect repellent to use a makeshift flame thrower, you die. And that’s not all. I can’t remember the solution, but I was genuinely stuck in the very first room for about twenty minutes before I found a way to progress the narrative. Luckily White Day, for all its faults and strangeness, is truly creepy. The corridors are long and dark (and full of terrors). The enemies are ominous, stalking and threatening. You are defenseless, running away for most fiends. On top of all that, there are the jump scares. The blighted screaming faces that appear whenever they like made me, on more than one occasion, scream loudly back at the screen. At first, you might try and find some logic or reason for the game the trying to give you a heart attack, but there isn’t any. These jump scares are almost entirely random which makes them both more terrifying and less fulfilling. But however you feel about it, it does add another layer of fear as you creep throughout the school. For fans of the horror genre, this is a game that is granted to pleasure, or at least stimulate, whatever part of your brain enjoys the being scared. For fans of player agency, however, White Day: A School Called Labyrinth is incredibly troubling. At several points during the game, you’ll come across other students that stupidly broke into the world’s most haunted school, and get to have short conversations with them. However hard you try though, White Day won’t let you warn them about the hideous dangers stalking the school, even when they’re almost certainly in danger. It’s a strange game, and I’m well aware I’ve made that point before, but it certainly has a place being remastered so many times. With such little access to Korean culture, it’s nice to see their more unusual side. And as a horror game, this game does test the boundaries of the genre. For all that the random hauntings are pestering, it does add a certain player tension. From a game that is so old to still feel relevant, scary and groundbreaking is a testament to its unusual style. 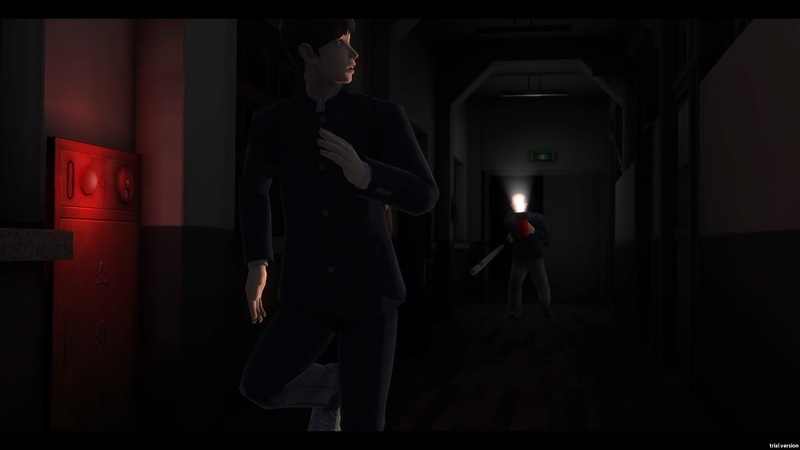 White Day: A School Called Labyrinth is a game worthy of being remembered and enjoyed. White Day is a game that might not make a lot of sense, but is a very interesting touchstone for building a atomsphere of anxious, awkward horror.